Summer is coming and we have come up with a list of 3 Solar Leds to Buy to decorate wherever you want. Why Solar Leds? Two Reasons; Sun and Leds. We love the sun as it is free natural energy. Who doesn’t right? When the sun is out, the day is brighter, people are in a happier mood and we receive free energy. We can generate electricity and also recharge our Leds to use later on. We listed our top 3 Solar Leds to buy before summer. Let’s start with our first product: Solar LED Candles. These will recharge in the morning during sunshine and automatically light on when it gets dark. The solar led candle products can be used in various Parties, Bars, Family Dinners,Outdoor picnics, Promotional Gifts, Home Decoration, Churches, Weddines and so on. Our preferred use is for a perfect romantic night out to impress and surprise your partner. The solar candles flicker nicely as if they are real candles. Unfortunately they don’t cook dinner so you have to cook that yourself 🙂 These cost just $2.87 dollars, so practically they are almost free. Remember no need for batteries or anything, just the sun to recharge. They are very easy to recharge, just put them where there is sun. You can buy these here. Our second choice is Wall Mounted Solar 6 LED Wall Lamp. As our candles, these will recharge in the morning and switch on automatically when it gets dark. You can buy several of these and attach them to the garden wall, roof, courtyard etc. We suggest to do so every 3 to 5 meters or so. They will create a loverly atmosphere on the wall and will definitely enhance your garden at night. They are very easy to install with just 2 screws to do onto the wall (included of course). The cost is $5.29 each one. These are also weatherproof. You can buy these here. Our third choice is a Solar Powered 4 LED Wall Lantern. These are just lovely for decoration. You can use them with any house decoration style. These are ideal for house entries, garden, roof, pavements etc. These can go pretty anywhere where it is dark, but remember, they need the sun to charge themselves. All you need to do is just hang them (with the given 2 screws) onto your preferred wall position. It is durable and can withstand all types of weather. These cost just $13.79. You can buy here. So what are you waiting for? We stocked up on all 3 and we are ready to decorate this summer, with free led energy from the sun. 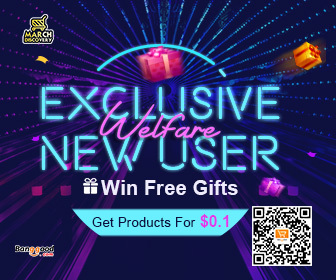 We hope that you will love these products as much as we do and other million customers.